Just trying to keep up to date on your upcoming Mac version. You can design in it, just not cut with any other cutter. You can export your designs to SVG for other cutters, some run MTC in wine or parallels. Well technically -the MTC on the Mac isn't actually a TRUE Mac version. It runs under Wine- which lets your port a Windows program over and run it on the Mac but it is not actually programmed for the Mac. It is the version that runs under Wine on the Mac that lets you cut to the KNK machines. There have not been any updated plug-ins to work with the other cutters. As MeFlick correctly states, the current version is not a native OSX Mac application and as such works slower than it should. Also the user interface is very clumsy. Considering I don't have a choice of alternative software to enable me to use the ZING air, I was hoping that a Native Mac version of Make the cut would be available. * Keyboard shortcuts are setup Windows Style (CTRL+C) not Mac Style.. (Command+C) for copy, although this is minor, it's annoying. * I am Australia, and all the measurements are in Inches, we use mm's and cm's here. * I am running on a 2009 iMac and the fonts in the program for the menu's etc are very small. * TO get to useful menu items I am having to go three levels deep to get to them. I have been using the Free Silhouette Studio for OSX previously with my Graphtec Craft Robo which is more of what I had expected when I bought the Zing Air. I am using Windows Mavericks, and will be using OSX Yosemite as soon as it's released. I don't want the expense (Processing loss) of running Windows AND OSX at the same time. @SK8Factory - appreciate your issues and concerns, but a little history here may bring it all into perspective. Andy is a sole developer. Make The Cut! was developed primarily as a tool for his wife to use her IBM compatible computer with her Cricut cutter. At the time, they never dreamed that the product would garner the interest and world wide popularity it has...inches and feet is the primary measurement scheme in the USA, and they are not going to change any time soon. As a result, imperial measurement is embedded in the code and it would not be an easy task to change that...given that Andy is a sole proprietor, it would also take a long time. I live in Canada, and we changed to metric a very long time ago...however I consider myself ambidextrous (and old enough) enough that I can think in both imperial and metric. You can also enter your measurements to size a shape's height or width in metric, ie 25mm, press Enter and MTC will convert it to imperial. Some tools have a choice and some tools use metric primarily (eg Eraser). When copying and pasting, you have two options: Paste, which will give you a copy sized to the size of your caret, the red I beam on the mat (default one inch or 2.5 cm), or Paste Special which Pastes at exactly the same size as the original. That is found on the Edit menu, the keyboard command is CTRL+SHIFT+V...however, as you noted, perhaps that does not work on your Mac keyboard. When shapes are selected, we have the option of right mouse context menus, so from your comment "* TO get to useful menu items I am having to go three levels deep to get to them." I am guessing that this is another (in my opinion) short coming of the Mac computer?? Examples of a right mouse click on a selected shape would be as shown in the image below. @SK8Factory I have MTC on my imac and it has maverik. The only issue I have is that it crashes more and I cannot access some of my printer settings thru wine, not any difference in how it handles fonts in MTC. You do have access to font book on a mac and can change and instal fonts thru that mac utility and it will show up in MTC. Also there is a slider bar on the bottom of text box in MTC that will make the fonts larger so you can see them. If you click gliph, show face then the font names will show up as you scroll thru the font list in MTC all be it too small for my eyesight, but you can type them out and cancel inorder to get the idea (but the pc and mac both have this issue). In both the pc and mac versions, the fonts will come in as the size of your caret if you click on them. You can change the carat size. My name is Kimberly and I am from Sydney, Australia. I have previously used the Graphtec Craft Robo which has been brilliant except that it only accepted A4 and I had to use the sticky Mat. One thing I loved was the lovely Silhouette Studio that was written for the Mac, is intuitive and was free. I was a bit disappointed with the Make the Cut software for a few reasons, and hope it can be improved. After using Silhouette Studio I suppose I was spoilt. I probably sound disappointed, I suppose I am. But I now have spent $500 and need to get value of this investment. First, I wanted to welcome you to the MTC forum. Second, I am sorry you are disappointed in MTC. You will find that many users here on the forum have one of the Silhouette line of machines and choose to purchase MTC to use with it instead of Silhouette's free or upgraded software program that cost $ (Designer Edition). Many do that because they find MTC is, in their opinion, better then the Silhouette programs in many ways. I personally much prefer MTC to either of the Silhouette programs (and I have both the free and purchased version plus SCAL in my cutting software arsenal). MTC is my go to program for cutting. I don't consider MTC's interface "clumsy" at all but do find the Silhouette program's to be less then intuitive and frustrating so I guess it is back to what we as individual users are used to! I think most MTC users of any length of time would tell you that they feel that we have been a bit spoilt with all the tools and features that Andy has added to MTC since its first release. One thing that may make you happy is that first, when updates are released, they are free so it is only the initial purchase of the program (or in your case - your cutter with the program). As further updates to MTC are supplied, they will cost you nothing. In addition, their is an online gallery accessed through MTC with well over 10,000 free designs (and that number is growing almost daily.) While it is true that it has been a while since an update was provided for MTC, it is also probably true that most of us are not even scratching the surface of what all this program can do anyway! I am sure more updates are coming down the pike though! I will say that once you take the time to learn MTC and the tools and features it contains, that you too may find that you are not as disappointed in it as you seem to be right now. There is a user manual easily accessible online, if you need to be pointed to its location let us know and we will be happy to point it out for you. As with any software programs, we as users tend to "like" what we learned first because it makes "sense" (because that is how we learned it) and anything that changes that up doesn't initially make sense. The same is true of cutters for many - when switching from a "plug and cut" like a Silhouette and the older Bug machines, people get stymied when they move up to the bigger and better cutters like the Zing, Maxx, Silver Bullet and Cougar style machines. That is human nature. However, over time - if we give the "new kid" a chance - sometimes we find that we like it as good if not better then what we previously knew! As Liz already pointed out - MTC is not a conglomerate but a true "mom and pop" shop that has one programmer who does not program on Macs (and last I knew had a real job - and this was his 'second" one on the side. They also have 3 children under the age of 5, one is just months old in fact). He is a great programmer in my opinion but has freely acknowledged in the past that he is not a Mac programmer and doesn't intend to become one. However, he has also said that if anyone knows a Mac Programmer interested in porting MTC over to a Mac, please feel free to have that person contact him to discuss. Unfortunately, it doesn't seem like any Mac programmers have stepped forward. With that said, he has made it so that MTC can be "ported" to a Mac. While it may not be the "ideal" solution - it is a solution, and most people find that it works fine for their needs. Like you, I have a Mac and I don't want to put windows environment on it to run windows programs for lots of reasons. However, I do have MTC running under the Wine setup on it and I have encountered few issues with it. I don't have a Zing or other KNK cutter though and they are the only ones that presently can even be cut to from the Mac setup. The good news for me however is that I also have a PC laptop that I run MTC on to cut with. MTC is not my only program I have that only runs on a PC platform, so I just decided years ago to have the best of both world's and have both a Mac and a PC. That way I don't "corrupt" my Mac with PC stuff. (Luckily I can afford to do that and realize not everyone can although PC laptops can be had for pretty cheap anymore!) That may be why its easy for me to go between the two systems with MTC, I know the PC shortcut keys as good or better then I know the Mac ones and since I learned those first, they make more sense to me then do some of the Mac ones! I don't have any real issues with MTC crashing on my Mac but then I do most of my "heavy work" on my PC version. While you may be in Australia, MTC's developer and his wife (who "inspired" its development as Liz explained are not) are from the USA where we still use the "imperial" measurement system. "They" tried to convert us many years ago way back when I was in school and it was a dismal failure and "they" gave up! Can't teach us Americans new tricks like the metric system it seems! Either that are we like the way we do things and see no need to change to match up with the rest of the world. Either way - its a fact of life that the USA uses the imperial measuring system and it is not going to change. As a result, MTC was developed by a US citizen, for US citizens never dreaming it would become a "world wide" program. While I can sympathize with those who use and prefer the metric system, I know many have learned to use it "as is" and Andy has tried to add in "metric conversion" processes where possible to aid those who use metric. There have been other "solutions" offered by others which can be found by doing a search here on the forum. Others have offered other help/solutions to issues/concerns you raised. Most of those are just a matter of learning the program and how it works. That will take a little time but you will learn it much better and faster if you will keep an open mind about it. I hope that you will give yourself some time to learn MTC and its tools and features. Please feel free to ask questions or for help here on the forum. That is what it is here for, for users to help users. Then I hope one day you too will be singing the praises of the program! Good luck. Let us know if we can help. Thank you to all those who replied and offered suggestions and solutions. Congratulations @Liz_A‌ for you abilities to be able to understand both Metric and Imperial. Unfortunately I don't have that skill. You explanation that Andy is a sole developer and the breif but informative history of this program explains a lot to me. My complaint is that these sorts of details, are not clearly marked on the packaging of the product. This IS sold as a commercial package, it is sold for money and with that comes expectations. It's not like I get to try before I buy, it's not like the packaging says.. includes "FREE" software, no it says it is a bundled package with "Make the Cut". This is part of the purchase price. If the package is to be sold to countries outside the USA, then these issues need to be addressed. This is not necessarily Andys issue, but the issue of the person bundling the software, I guess KNK. Thank you for the tips on Paste, this will help me understand how this system works, normally a copy and paste is pretty standard feature where a paste special would do something different from a normal paste. In this software that is a bit backwards. I have been involved with software design and development since 1990. So this makes it harder for me as I have seen User Experience (UX) get better and better, Understanding where the development of this software has come from now explains that this was a project of love, with no specific time put into research UX understanding. I worked on a project where the smart programmer designed the code, but they employed myself to help with the User Interface, that is so important to get right. In regards to the Metric vs Imperial measuring. It shouldn't be too hard to fix this issue. With the question of paying for updates. I don't have an issue with this Unless it's addressing bugs or if it's correcting features that need fixing. But if it is to ADD new features, then it's worth paying for software and support. It is quite devastating to know that this sort of stuff won't be addressed, that there won't be a true native Mac OSX written version. My understanding is the only way I can remove "Presets" I have created is to delete the software and reinstall. Unless I can hack into the software and edit a file. Which I am willing to do, I just need to know the file, I had a look, but didn't quickly find it. I suppose I need a link to the programmer s communications stream. I sent an email on Friday, but haven't heard anything back, not even a we will get back to you reply. "Mom and Pop" explains this and although you all think this is lovely, I am trying to use this software not for hobby reasons, but to deliver products to my customers. I must sound quite negative and I apologise for that, It's just that I am very upset with a bad investment and see no light at the end of the tunnel. If I had hope that they were working on a native Mac version then my thoughts would be different. And for purchasing or using another computer to run the software so it doesn't crash as much. Well the big reason I chose Mac is for stability, security and workflow. Windows PC's are security risks waiting to happen, I should know as I have been supporting them for nearly 20 years and unfortunately they aren't improving, only getting worse, with Windows 8.1 and the new Threshold (Windows 9) due to be released soon reinforces my choice to move to the Mac environment 5 years ago. To @leslie6111‌, Re the Fonts.. it's not the issue with the font for printing, editing etc.. it's the system fonts being so small and not adjusting to match the resolution of my iMac's screen resolution. I am running at 2560 x 1080 resolution and this is the default resolution for my monitor. I am looking at upgrading to a 4K display 3840 x 2160 resolution in the future which will only make this issue more of a problem. The problem is not with the Mac as all my other software scales automatically, but as this is windows software trying to run in a mac, the WineSkin software doesn't talk to the operating system. Also Windows doesn't offer the scaling option like Mac does. I'd love to get access to the source code and see what it was written in, and maybe see if it can be adjusted and recompiled Though doubt that will happen. It would be nice to have the option that a lot of software has where you have the ability of displaying "Icons" or "Icons and text" this means you can find and learn the command easier. There are some nice features of the software such as the Layers. Actually, you can download MTC free from their home page to "try before you buy. Unfortunately I guess that you did not find that before you took the plunge and bought the KNK which came packaged with it. It can be found here:https://www.make-the-cut.com It is the full featured program that lets you work with almost all the tools and feature in demo mode except you cannot export out to other file formats, cannot print, and it will cut watermarks into a project when it is sent to cut. Unfortunately, late for you to learn but did want others to know that you can "try before you buy." Perhaps KNK should add that information to help their buyers be more informed and know more about the program and how it operates on the different platforms. Nobody said for sure that your concerns would "never be addressed" - we just gave you the information as we are aware of it today. Only Andy himself could tell you whether or not it will ever be addressed. Perhaps it will be. KNK also has (or used to have at least I think) another program. I don't know anything about it, nor do I know about whether or not it has a true "Mac" version. I think I have seen @SandyMcC say that it is meant for more "commercial" users perhaps and if it has a true Mac OS version, then perhaps you can obtain a copy of it from KNK and give it a try. However, that said - many people do use MTC in a commercial purpose. I don't know if @SBryanW can give any further insight on that either. Perhaps he will see and reply as well. If you know how to program and have MTC work better with a Mac, I am sure Andy would be more than willing to talk to you, however I believe you might want to take a "positive" tone in outreach. I have been around for a long time here now and have never seen Andy not willing to "listen" to the concerns of users. Doesn't mean that they are always addressed or addressed quickly (but often are) BUT he does when he can. I know we have users from around the world, but I don't know how many total MTCers there are from other countries that would prefer to have the metric system - there may not have yet been enough to make it feasible to do. It may also be in the works and we may not know about it! Since you say you sent your email on Friday you need to allow a little time to get a response. Most businesses would not have replied before Monday (US) time at the earliest to an email sent on Friday depending upon what time it was sent I know. Wish I could be of more help for you. Hopefully you will find with time that MTC offers more then you believe at first blush. Perhaps your concerns can be better addressed in the future. In the interim, if you know a good Mac programmer, send him or her Andy's email address! I purchased the software from a retailer within Australia, he was at a craft show and was demonstrating using the Windows version. I asked if there was a Mac version and he said there was. 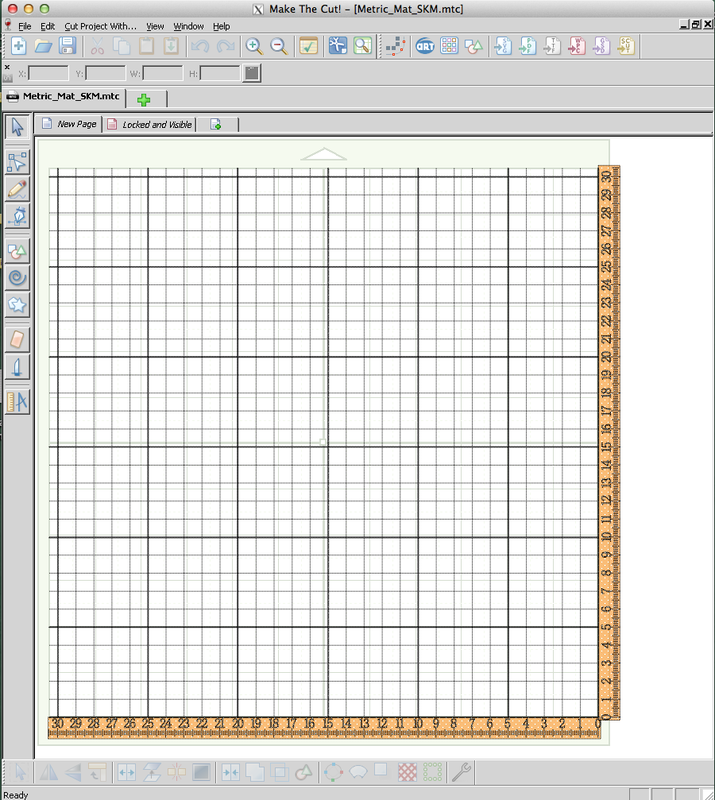 With my Graftec craftrobo I own, it originally came with other software, and then I found Silhouette studio and found this was much better for my needs. I assumed that I wasn't locked into using only one "Make the Cut" software with the KNK. Re my concerns not being addressed, I got this picture from the information that Leslie said in that Andy won't be writing a Mac version, and that I may be the minority. Also to find out how many people want metric vs imperial or (Both) could the registration process be used to find that information. But, I am happy to jump ship of there is a program that offers what I want. I'd be interested in this other program that works with the knk, if someone knows the website I'd appreciate the link. Instead of posting anymore here, I have sent an email to KNKUSA.com and hope they can advise a solution. KNK Studio is the other software and it is a windows-based program only. The developer, CADLink, has never expressed any interest in creating a Mac version of their "main program", Sign Lab. Thus, there's no Mac version of KNK Studio, either. As for the Presets, this is the first time I've even realized they couldn't be deleted in the Wine version. But you are definitely correct. I then also discovered that I couldn't delete a custom mat I created either. I don't recall that issue coming up before. Maybe @MeFlick and @Leslie6111 can confirm? I only ever use my Mac when helping KNK owners with Macs or for getting screenshots for the user manuals. So, I'm not an expert on the Wine version, by a long shot. @SK8Factory The resolution of my 21.5-inch iMac is set to 1920 x 1080 - (which is its highest - but it is lower than what your mac is set at) and the fonts are readible - can you set the resolution down to see if that would help? I also have MTC on my pc and since since that screen is smaller, I find it easier to work on my Mac. I do cut on my pc and routinely transfer files between. I also use popup card studio and that is only available for the pc at present. Your comment -you wrote "Re my concerns not being addressed, I got this picture from the information that Leslie said in that Andy won't be writing a Mac version, and that I may be the minority." - For the record SK8Factory I did not make this comment. I am sorry you are unhappy, with MTC and your zing. Most of us on this forum are just trying to help and have no financial incentive for doing so. We are just users of the program. For more complicated questions of MTC you should direct them to either @SBryanW or to @Andy and there is a trouble ticket you can send. They will try to help and respond. If you have issues with your cutter, then the folks at KNK also are easily reached by phone and email and go out of their way to support their product. @SandyMcC I cannot just delete a custom mat on the Mac MTC as I can on my pc version by just deleting it. I would have to either reinstall or possible reset to factory settings (I do not want to try this since the mac version is working now for me and it is a pain to reinstall it if something goes a miss). Welcome to the forum, @SK8Factory and I am sorry a frustration brought you here. Regardless, you will find much cheerful support here. Had the MTC program not been bundled, it sells independently for under $60 USD. I've been around creative software for 19 years now, and the "sugar for a penny" factor of MTC is unequaled, IME. To the extent that I sometimes feel as if I am taking advantage of Andy's generosity. To the extent that members of this forum have been known to donate to Ann and Andy even when a fabulous update, (which would have been called an upGRADE anywhere else) is offered for free. Comparable software that I have used for other creative arenas sells between $600 and $2000 and even then it doesn't have the exceptional hands-on touch and responsiveness that Andy has provided us. Ann offers exceptional customer support, as well. I'm not trying to talk you into anything, but it seems as if your beef should be with the demonstrator. There are many enthusiastic MAC and MTC owners here. I can appreciate that the misinformation, coupled with the measurement difficulties may be disappointing. I am in @Liz_A position of being "ambidextrous" as well. I spent only a brief time w/ the metric system as a native format, but its easier path to smaller measurements won me over w/r/t my creative pursuits. Perhaps, if you are willing, you could cultivate a gut feel for imperial measurements so that it wouldn't prove as challenging. For a variety of reasons, many cutter users toggle between two programs. I hope you can find a rhythm that works for you. We'd love to see some of your work, if you'd like to share. @SandyMcC‌ Thanks for your helpful template, that will make things a bit more bearable. The locked layers option (Can I assume the locked also means it won't print whats on these layers?, or can items be locked and displayed and told not to print. This way I can create templates for other things).? While installing your excellent template, I found a new bug or "Feature" that has now lost my Layers tab and also the other Tab for choosing Landscape or Portraite.. This happenned when I double-clicked on the tabs titlebar (Normally expands or minimises the window) see photo below.. I can't find anywhere to turn these back on or where they have moved to?? Also thanks for the heads up re the KNK Studio only for windows. I am quite amazed as most designers I know are Mac users. I suppose though the market has been for low cost windows users, hobbyists and the like. @leslie6111‌ I multitask with my iMac, running many programs at once, While I have cutting out a design I am working in either photoshop or illustrator on another application, and the solution to chop and change resolutions, to downgrade my Mac isn't what I want to do. I'd rather the offending program "Make the cut" get fixed, then to drag all my other programs down to this level. The fonts are readable, just very small when they need not be if when the program was written it used a scalable size as apposed to a set size. This same issue comes up with Website design where people have programmed the old way. But with the displays getting higher and higher resolutions, we have all moved to using scaling. @hwgang‌ The problem is I don't have Choice with the Zing Air.. other people switching between a couple of programs would be ideal.. but the choice is limmited to just MTC. I agree the problem is with KNK not MTC.. and I have written to them this morning with my issues. Though the outcome doesn't look good. The real issue for me is to get Other software to work with my Zing Air... If I could get Sillouette or SignCut to recognise the Zing Air. Learning Imperial?, I thought about learning latin also, but both take time I don't have. The lock just locks the layer so you can't click on it and move it or anything. It will still cut it. You need to click the "eye" on the layer to close it and then it won't cut. @minorcustomcrafts‌ Thank you for the feedback, when I get the Layers panel back (It's gone! ), I will give that a go. @SK8Factory under view you can get your layer tab back. If you do not want something to print click the eye at the layer. Basicallly what you see is what you get. Anything that shows will be cut or printed. @leslie6111‌ Unfortunately that doesn't work.. that was the first thing I tried. I am not new to computers, so tried everything I thought. Until I mentioned it here. if I chose to Eject Disk? (I didnt have a disk in) then quit and reload has restored my layers tab. I purchased a mac years ago, just to do the same - took it back and made a monster i7 system for $300 less. Mac are TOO limited for use of things other than music, video, email, surfing. Maybe trade the zing for Maxx Air or something that works with others. @markusof, there is no deal whereby we cannot have another software work with it. In fact, there's a rhinestone design program called Artistic Crystals which cuts to the Zing. KNK USA is more than open to providing the Zing SDK to any company or even individual requesting it. And we have done that quite a few times. I know there's one Zing customer who has it cutting from Inkscape and told Chad that his plugin will be available in the next major release of Inkscape. That would be wonderful since Inkscape does have a "true" Mac version. 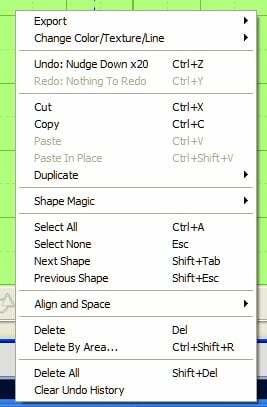 will give the option Export => Plot... on the Extensions menu in Inkscape. From the read, I believe that you may have to use USB to serial connection?? And of course, you need to know the proper settings to apply them. On the Connections settings choose Command language = KNK Zing (HPGL) variant. Hope that helps...there is of course the Mac version of Inkscape, as is there a Linux version. PS perhaps we could have @SBryanW weigh in as well. @SandyMcC - so glad that helped...I had looked for this in the latest version of Inkscape, but it was not there, so not sure what happened along the way with the promise of being in the next release, I guess as I surmised, the latest update to Inkscape is too minor. Did you get it to work with USB to serial or USB?? I wondered if there was a way to make it use BT?? My Zing is unfortunately under the weather still, so I am not able to further test. Notified...lol, today I think you have to do your own digging for information, like communicating something new is passe or something, LOL!! Yep! My BT connection to the Zing Air is working from Inkscape on my PC. I'll go try it on the Mac next. @SandyMcC‌ - very cool...I would love to know if the MaxxAir works too! Haven't tried it! @SandyMcC‌ Great News.. Inkscape is Java so it runs on just about anything.. I will give it a try in a minute and report my findings. I haven't used it before, but I had installed it onto my fathers iMac. He does wooden scrollsaw work and used it to create patterns. Wow, I feel bad for the person who posted asking for a update. And for the person who dared criticize the Make the Cut program for the mac. I am not saying that Andy is not awesome, I am not saying that he is a big software design house. I am not saying I don't absolutely adore this program and my zing. I just think that complaining about how the program works is not a reason to berate the person for expecting too much. If Andy wanted to fix this problem or any other one, he could ask for help. I have offered to help on at least one occasion. I am a stay at home mom who picks up the occasional programming gig for fun. I am a computer engineer with a specialization in drivers so it is not like I am not qualified. So I think there are other ways he could get it done. Maybe making comments like I have NOW has helped someone get their zing working with inkscape.. Funny how this hasn't come out before my comments.. I'm just say'in..
Wow! Some kind of harsh criticisms here that I am not understanding. No one was keeping a state secret here and help for working towards compatibility has been offered, just not solved.. According to @Liz_A 's link this comparability was available from late 2013. For anyone to discover. Glad it was. Wish it had been regarded as only good news and not a conspiracy or other negative attribute.